MEE GORENG!!!! 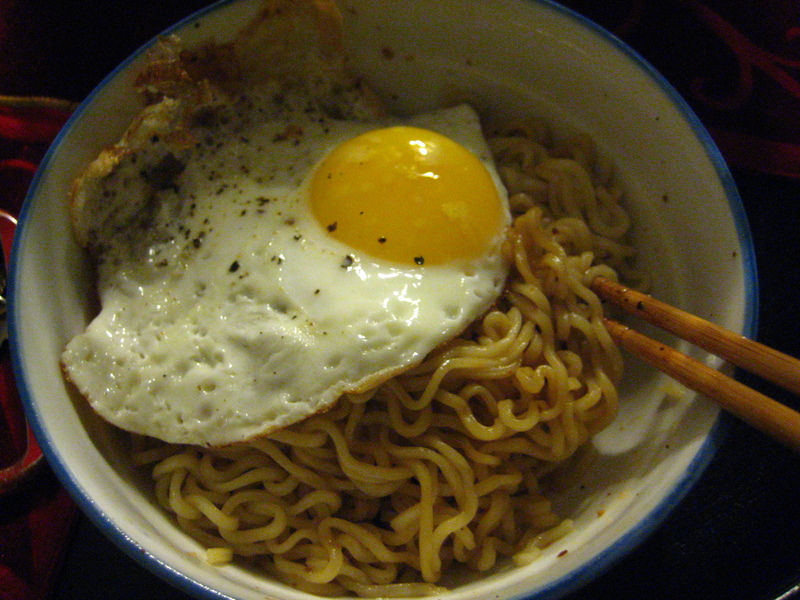 – ok, I lowered my expectations a little, and imagined instant mee goreng. 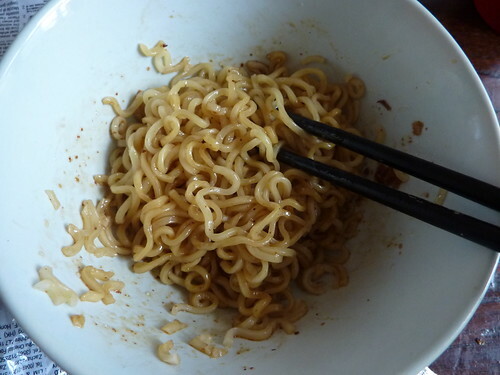 which still love with all my heart for all its unhealthy msg-filled goodness. So I excitedly skipped into the shop and ordered. So cheap!!! 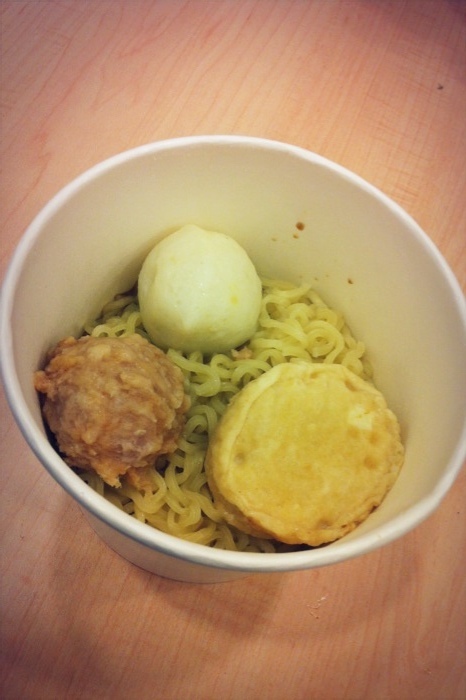 $2.50 only!!! For mee goreng and 3 items or for 5 items!! The man make for you summore! Like a hawker! 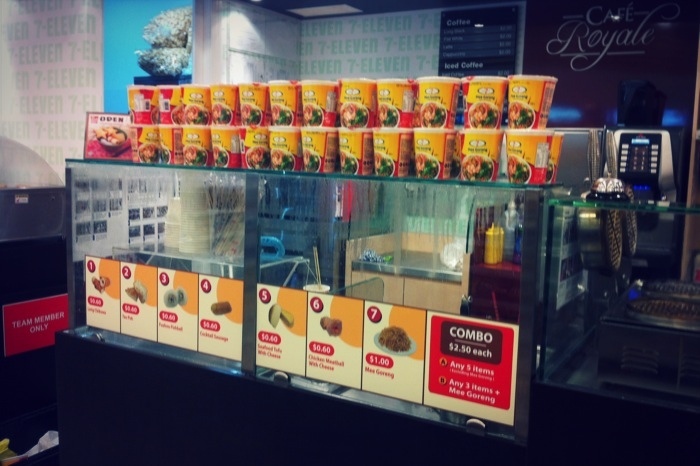 Who is serving instant cup noodles! 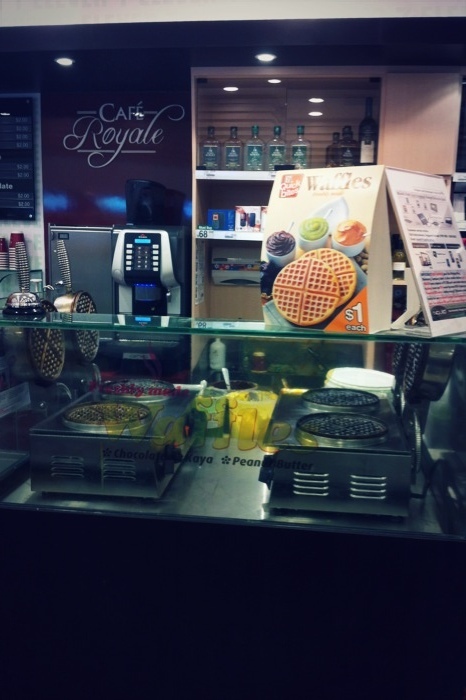 I ordered a waffle too. Freshly made!! Choose from chocolate, kaya or peanut butter. Yummy!! 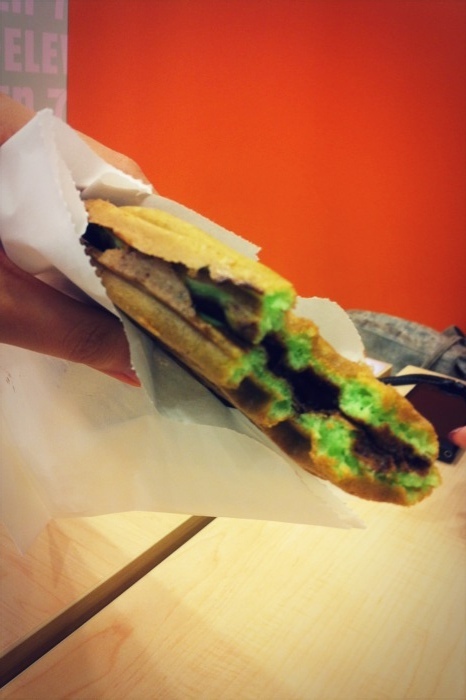 Waffle batter had pandan in it so it was very pang. Super worth the $1 I paid for it. $1!!! My entire meal cost me … $3.50!!!! BUDGET FTW. 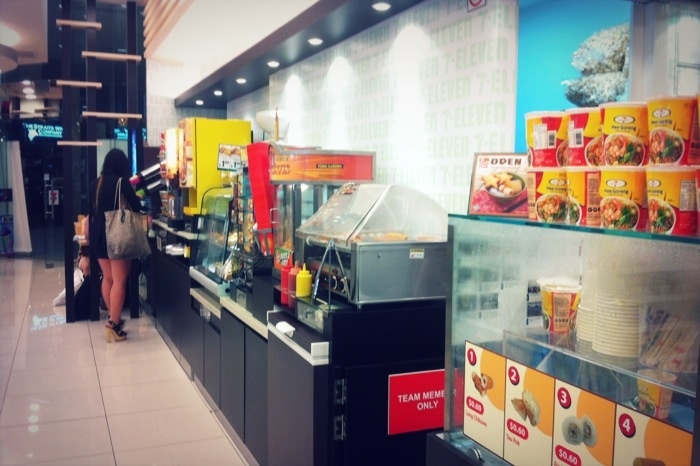 BTW Jem was with me and had no choice but to eat at 7-11 too. 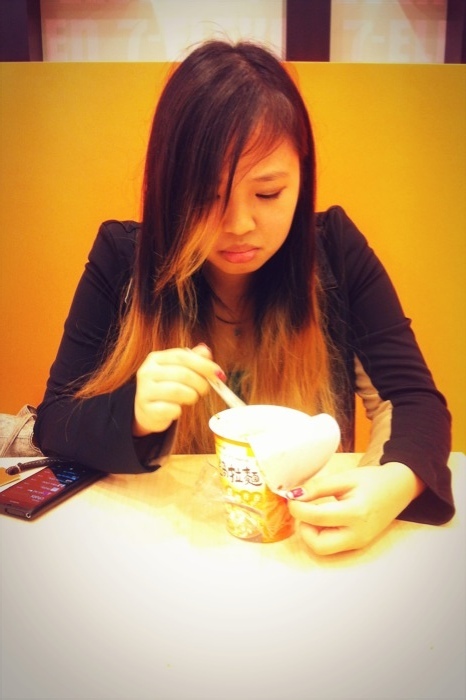 She went with kimchi instant noodles. I don’t think she was very happy.